CSC Generation bought the bankrupt retailer's IP for $900,000 thinking it could run a profitable operation. That's plenty ambitious in its own right, but the firm's plans only get bigger from there. In 1898, Max and Samuel Grumbacher opened their first store, in York, Penn., forming the basis of what would become Bon-Ton Stores. If a brand is the story of a company and everything it's done, and how customers feel about that story, then it took 120 years to build the Bon-Ton brand from scratch. In a lot of cases, including Bon-Ton's, it's quicker and cheaper just to buy a brand outright, one that someone else has built. Billions of dollars were spent making Bon-Ton into a national department store chain. CSC Generation, the largely unknown company that picked up Bon-Ton's brand property, along with other intellectual property assets, at a bankruptcy auction did so for $900,000. That's some markdown, and yet it's real money — a bet that CSC can make good on a brand behind a retailer that went bust. Justin Yoshimura, CSC's founder and CEO, says the company will open a few Bon-Ton stores, but is focused on the e-commerce side of the business. Retailers fail all the time, and very often there's someone to scoop up the brand IP for the simple reason that it's often much cheaper than building a brand from the ground up with sweat, capital investments, marketing and luck. Brand holding companies like Authentic Brands Group and Iconix Brand Group have made their bread and butter from doing it. In the case of ABG, which recently bought Nine West's assets out of bankruptcy, the company is growing quickly as it reaps cash from brands it has bought and licensed to third-parties, keeping its accounting books free of the uncertainties and risks that come with leases and capital investments. CSC Generation is a different animal altogether, and a harder one to pin down. One part retailer, one part tech company, one part consumer finance provider and one part investment bank (that works on retail restructurings), CSC's move to buy and restart Bon-Ton online and offline has plenty of retail observers scratching their heads and wondering how CSC can win a game Bon-Ton has already lost once. But to Justin Yoshimura, CSC's founder and CEO, Bon-Ton fits perfectly with his company's ambitions, model and customer base. "The people that never go into stores anymore and buy 90% of everything on Amazon, they would never go into a Bon-Ton," Yoshimura told Retail Dive in an interview. "We're using our technology to improve the lives of customers that are not being served by Amazon. Bon-Ton is exactly that — their customer list is that to a T."
On the acquisition front, Bon-Ton is a useful case to demonstrate the company's aims. In the retailer, CSC found a company that had, in Yoshimura's view, failed for the same reasons many other retailers have: They couldn't adapt to a more quickly evolving environment. "So many old school retailers are not technology-driven; they're merchandise-driven," he said. "Back in the day being merchandise-driven was much easier. 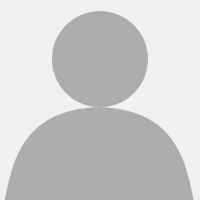 Consumers were not as empowered as they are today," Yoshimura said. "Bon-Ton used to have $1 billion worth of inventory. That was all liquidated. Rebuilding that inventory, getting products flowing, is our biggest challenge." With Bon-Ton, he said the department store retailer was losing money on its e-commerce operations, though the company made $400 million in online sales. As Yoshimura tells it, the company lost money on a third of the orders it placed online because "they didn't know how to merchandise the site in a way that's profitable," often following the same blueprint Bon-Ton did in its stores. Moreover, instead of hiring out third-party services CSC does some of the heaviest e-commerce tasks in-house: drop-shipping, personalization, payments, financing and logistics. The company moved Bon-Ton's website over to its own e-commerce platform in three weeks, according to Yoshimura. That's whiplash speed, though the executive acknowledges that, with about 150,000 SKUs available for sale at the moment, CSC doesn't have Bon-Ton and its cousin banners as fully stocked as he'd like. "Bon-Ton used to have $1 billion worth of inventory. "That was all liquidated," he said. "Rebuilding that inventory, getting products flowing, is our biggest challenge." The larger point is, CSC thinks it can make a revived Bon-Ton profitable, in part, by doing e-commerce better. It can also bring its leasing platform to the retailer's existing customers. CSC has already done that for DirectBuy and other retail banners in its stable. Yoshimura said the company, which has a "robust" collections operation to support its leasing platform, plans to do so for Bon-Ton as well. Part of Bon-Ton's attraction to CSC was the trove of customer data, which the firm can use, along with proprietary algorithms, to predict default rates, Yoshimura said. CSC also plans to open Bon-Ton stores, and Yoshimura thinks his firm can improve that side of the business, too. Right now, CSC is in talks with landlords and has a "couple dozen" locations in play, with the first likely to open in Chicago, he said. Longer-term plans are difficult because the company uses a range of data to determine where to open a store and will make those decisions in as close to real time as possible. "And what do you have at Bon-Ton? Just selling the same crap as Macy's but without their loyalty points? I would have a field day if I were their competitors." The revived Bon-Ton stores themselves will carry less apparel — what's there will be organized by color, rather than style and brand. "The world has enough of these large apparel retailers. Our apparel assortment is focused online," Yoshimura said. "We're utilizing stores as a place to return apparel. We want to sell apparel, but we don't think we should be selling apparel in stores." The stores will also stock more custom furniture, and they will bring in art (which can be purchased as well as looked at), gourmet food and liquor to entice people to the stores, he added. Not everyone thinks the company can pull off a profitable Bon-Ton, even with the tweaks to its operations. The company, before filing for Chapter 11 this year, suffered years of declining sales and profit losses. This spring, an effort to buy the company out of bankruptcy as a going concern failed to raise enough money to beat a bid by lenders that wanted to liquidate the company. The winning bidders for Bon-Ton's assets, in other words, saw more value in the retailer dead than alive. "You wouldn't suddenly bring the Yugo back," Bob Phibbs, a consultant known by the moniker of "Retail Doctor," said in an interview. Refocusing Bon-Ton online "just makes it confusing for customers," Phibbs said. "And what do you have at Bon-Ton? Just selling the same crap as Macy's but without their loyalty points?" Phibbs said. He added that the reduced hours could alienate shoppers, who have long pushed retailers to stay open to provide convenient access. "I would have a field day if I were their competitors." Neil Saunders, managing director of GlobalData Retail, wrote in RetailWire earlier this month, "Admittedly, moving to a more online-centric model seems sensible, but it still has significant costs attached and it also has the disadvantage in that Bon Ton will be increasingly out of sight and out of mind unless marketing is ramped up significantly." He added, "In my view, this is simply throwing good money after bad." Regardless of how the move to acquire Bon-Ton's brand works out, CSC — which, according to the Wall Street Journal, is backed in part by Chinese private-equity firm CSC Group and several other investment groups — has bigger plans. The company wants to be a platform as well as an acquirer. Yoshimura said the company is in talks with more than 10 retailers about running their e-commerce operations, data operations and potentially everything besides their real estate and merchandising. "We're all basically addicted to adrenaline over here," Yoshimura said. Whether that adrenaline can turn the company into the multibillion-dollar platform it wants to be, time will tell. 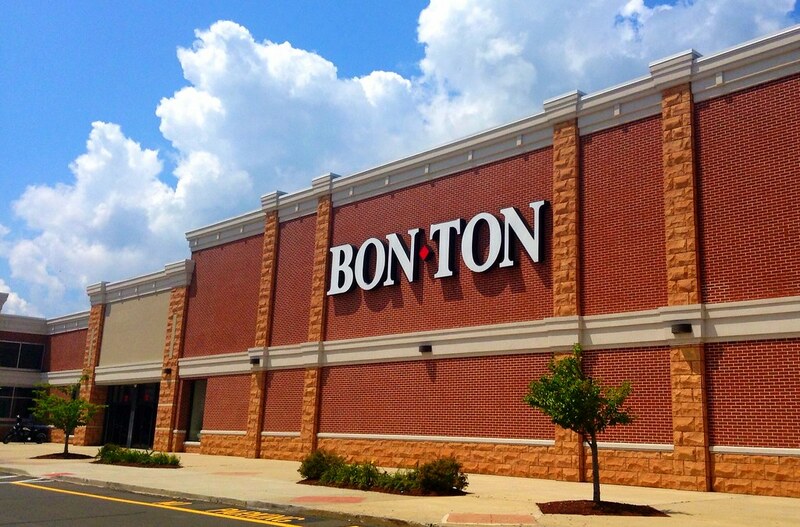 So might the performance of the revived Bon-Ton.